Flower, a Wisteria Blue color, 8 deltoid shaped, slightly cupped tepals, with lighter bar and pointed tips. 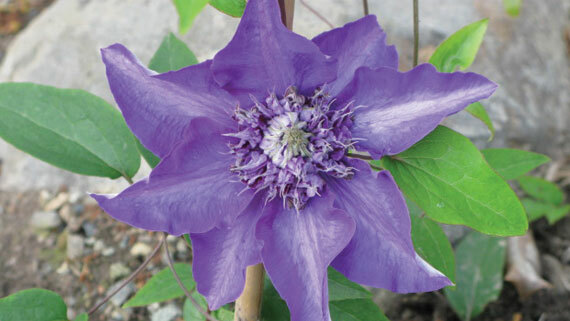 Flower is accented by a showy thick cluster of ruffled anthers, also Wisteria Blue. Blooming time June through September. Plant in sun to semi shade.